How to incorporate physical activity for preschoolers into your busy day, with tips from SPARK. According to the National Center for Biotechnology Information, an estimated 43 million preschool children worldwide were overweight or obese in 2010. This is an increase of 60 percent since 1990. The White House Task Force on Childhood Obesity reports that over half of obese children become overweight children by age two, while one in five children are obese by the time they turn six. "Today, almost 10 percent of infants and toddlers carry excess weight for their length, and slightly more than 20 percent of children between the ages of two and five are already overweight or obese," say researchers at the Institute of Medicine. Luckily, the solution to solving this worrisome problem is fun and easy one to do. Play. Specifically, play that is both structured and unstructured—physical activity for preschoolers that gets them moving. But what are they and what's the difference? "Structured play involves activities that are instructor-led, whether it's by a parent, teacher, any other adult. They are activities that have a specific learning objective, a particular content, or a selected instructional strategy," said Faith Grinder, the early childhood lead trainer at SPARK, a research-based, public health organization dedicated to creating, implementing, and evaluating programs that promote lifelong wellness. And while you could certainly sign your child up for a physical education class (SPARK offers a host of programs nationwide), increasing physical activity can be done at home too. For example, Grinder suggests if your child hasn't been doing a good job listening lately, engage them in a game that works on listening skills. "Make it a game that works on 'start' and 'stop,'" she said. "Say 'go' and 'freeze' instead of 'Stop running!' because the last word the child hears is 'running.'" With games like these, not only are you encouraging active play, but you are teaching your child important lessons — in this case, a social skill. According to the National Association for Sport and Physical Education, preschoolers should accumulate at least one hour of structured physical activity every day. That can be hard, even for adults, so Grinder suggests breaking the physical activity time up during the day into smaller segments. "Structured play time is a wonderful time," Grinder said, adding that you really can find a game to fit just about everything, whether you want to help your child work on school readiness, motor skills, body parts, and more. "If you are playing one ball with more than one child, then they have to learn how to cooperate and take turns," she said. "Parents always think there is no time, but if your child is sitting in front of the television or playing a game or something, there is time. We read stories to our kids, why not take that book and have them act out the motions?" Her favorites for this type of activity include Barnyard Dance by Sandra Boynton, We're Going on a Bear Hunt by Michael Rosen, or any book by Eric Carle, particularly the "bear" titles. "All these little times in the day — make games out of it!" Also important is unstructured play — playing without a real purpose or learning objective. NASPE recommends at least an hour — up to several hours a day — of "just play." But it is important to remember that it shouldn't mean your child is sitting still and watching television or is in front of a computer screen. Through unstructured play and physical activity for preschoolers, Grinder says children can explore, improvise, and be creative. They may even choose to continue the structured play activities, just without a leader. And even though this time is focusing on unstructured play, it doesn't mean you can't continue to be your child's playmate. The play is just different because it isn't led by you. To help your child get the most out of unstructured play time, Grinder suggests leaving out manipulative toys, things that are soft, or larger than normal. "Juggling scarves or old headscarves are great. Hula hoops! Little ones can't hula hoop yet, but they will try!" She also suggests sidewalk chalk or even buckets of water with sponges that kids can "draw" with. 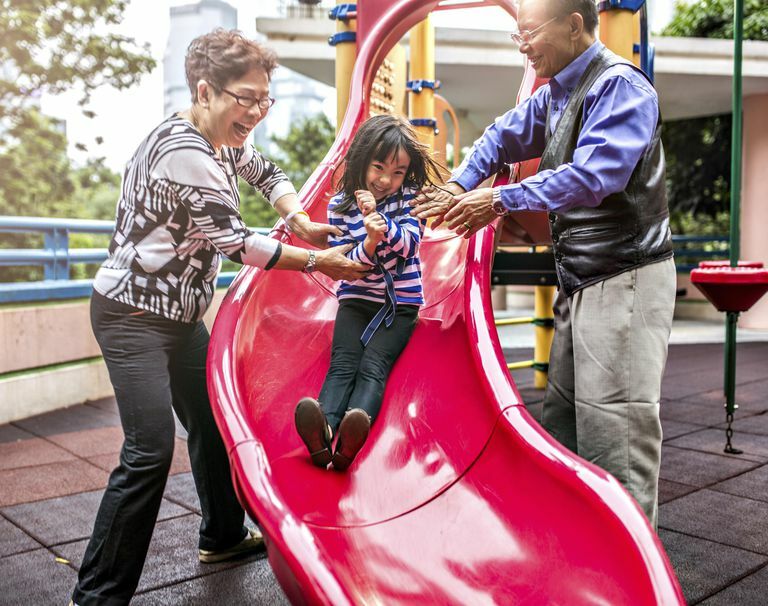 Grinder also says to remember that even though unstructured play can involve a child playing alone, kids engaging in physical activity should always be supervised by an adult. Use music as much as possible. Freeze dance is always fun for kids, but Grinder says you can expand on the game by encouraging them to do a specific activity, like galloping like horses. Even in the car, you can play by having kids move in their seats — wave their hands or wiggle in their car seat for example. And while they are having fun, they are working on their listening skills, whether they realize it or not. Simple is fine. An activity doesn't have to be complex to be part of an active lifestyle or even helping a little one engage in physical education. Try a "target toss" with a laundry basket. Have little ones gently throw a soft cloth ball or small stuffed animals into a laundry basket. Encourage their creativity. Ask your preschooler to do silly things like walking like a cooked noodle. Then ask them to walk like a cooked noodle. Try a "switcheroo." Grinder says you can work in physical activity for preschoolers even when you have a few minutes at the end of the day — normally a sedentary time. While everyone is winding down and relaxing, have someone call out "Switcheroo!" so everyone hears it. Each person needs to go to a new place in the room." If you are playing when you don't need to be quite so quiet, alternatively you can have kids move from spot to spot using a different method — hopping, jumping, or leaping. Cut out photos of animals and tell kids to walk the way the animals would get to the new spot. Take a walk. And while you are out, make a game out of it, asking kids if they can hop to the big tree or leap over cracks. Get older kids involved. Younger children really look up to older siblings and older ones usually enjoy being the "teacher." Encourage an older sibling to set up an obstacle course for a younger sibling and then see who can do it faster. Balloon fun. Barring a latex allergy, explore how fun balloons can be. Blow up a bunch (beach balls work well too) and see if your child can keep them up in the air using specific body parts that you call out. For more ideas for increasing your child's physical education and physical activity, visit SPARK for free sample Early Childhood Activity Pages. Each printable sheet includes a game idea, directions, adaptations, objectives, further reading suggestions, tips from teachers, and ways to get your whole family involved. Interview with Faith Grinder, SPARK’s Early Childhood Lead Trainer. April 17, 2013. One Year Progress Report. White House Task Force on Childhood Obesity. Early Childhood Obesity Prevention Policies. Institute of Medicine of the National Academies.